I looked through cookbooks, Pinterest, and nothing really struck me. 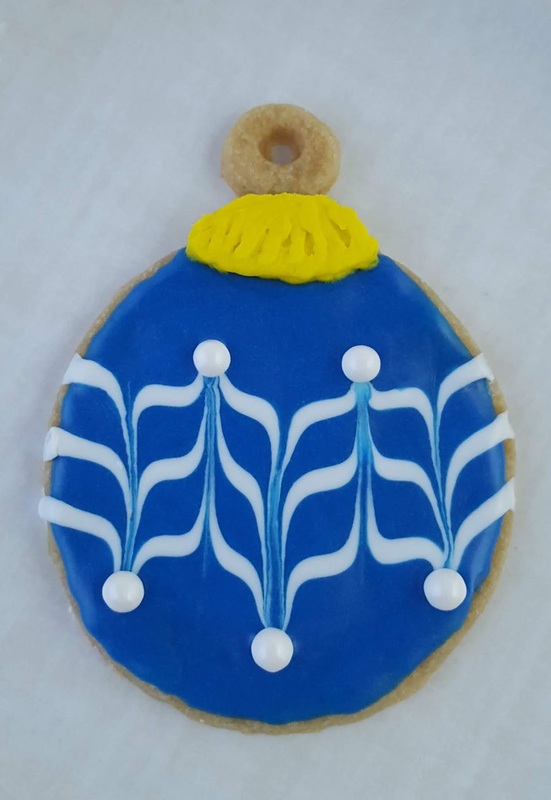 I wanted something easy to make, but not the standard sugar cookie. I finally found what I was looking for in my Gram's recipe box. 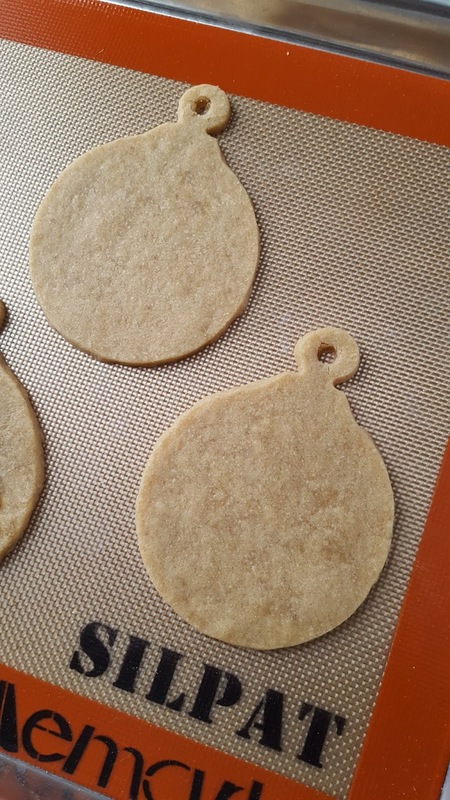 Now I'm going to admit, I don't ever remember her making these cookies. I'm not even sure where she got the recipe, most likely from a friend. It didn't specify light or dark brown sugar, so I went with light because it's what I had on hand. The dough comes together fast. I actually made it the day before I wanted to make the cookies and stored the disk in the fridge. Just let it come up to room temperature before you try and roll it out. 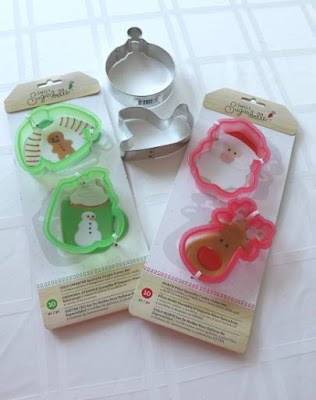 Yum Google sent me two cookies cutters, and one was a beautiful ornament shape. I used a straw to punch out some holes before baking. I lined the baking sheet with Silpat, and let me tell you, I'm hooked. I loved how evenly the cookies baked, easy clean up, and they're reusuable! I used my go-to Powdered Sugar Glaze, and tinted it to the colors I wanted using Adams Extract Food Colors. It's so cool that they are free from artificial dyes! Piping really isn't my strong suit, but I got some awesome designs with just a few lines and a skewer. 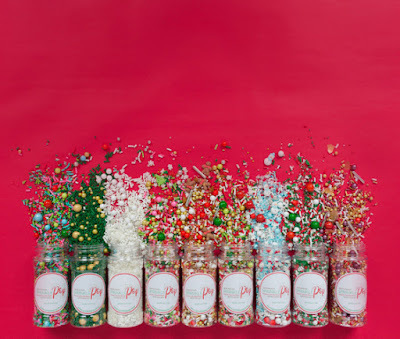 I might have gone a little crazy with the sprinkles, but the Christmas Traditions Mix from Sprinkle Pop just made it so much fun. You'll see them a lot throughout this week on my various recipes because they were just too pretty, I wanted to use them on everything! Thank you so much to Ellen from Family Around the Table and Christie from A Kitchen Hoor's Adventures for hosting #ChristmasCookiesWeek! 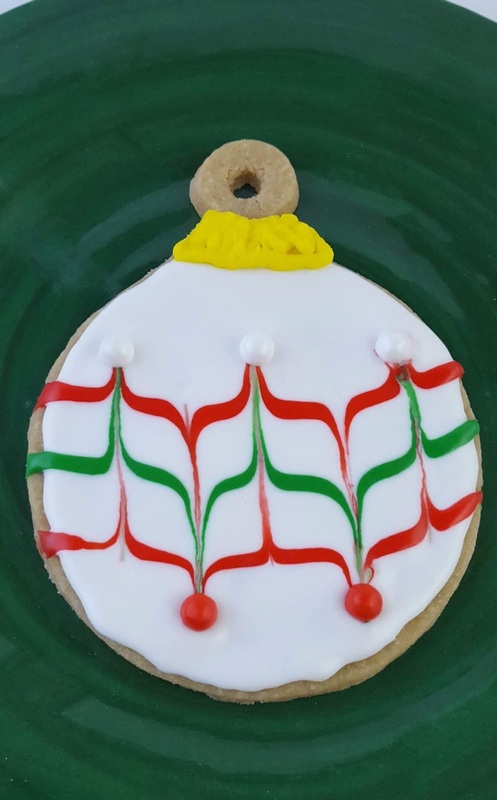 Be sure to go and check out all of the other amazing recipes from the #FestiveFoodies today and throughout the week by clicking on the links below. Thanks so much to our sponsors, Adams Extract, Silpat, Sprinkle Pop and Yum Goggle! They've provided some pretty great prize packages. You can enter for your chance to win one of them by using the entry form below. Preheat oven to 300 degrees. 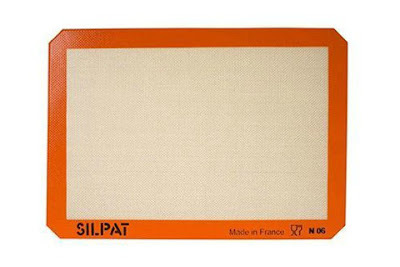 Place Silpats onto baking sheets. Cream together butter, brown sugar and vanilla on medium speed until light and smooth, about 3 minutes. Combine flour and salt in a bowl, then add slowly to the creamed mixture. Continue to beat until a smooth dough forms. Shape into a disk. Divide the disk into 4 parts. Roll out, one portion at a time, on a lightly floured surface to about 1/4" thick. Brush off any excess flour. Cut out desired shapes and transfer onto the lined sheets, placing them about 1" apart. Repeat with remaining dough. Scraps can be lightly kneaded, rested for about 5 minutes, and then rolled out again. Bake sheets for 13 to 15 minutes. Cool on sheets on racks for 3 to 5 minutes, then move to racks to cool completely. bowl; mix until powdered sugar is moistened. consistency. Tint with food color, if desired. Load into piping bags or zip top bags with the corner clipped off. 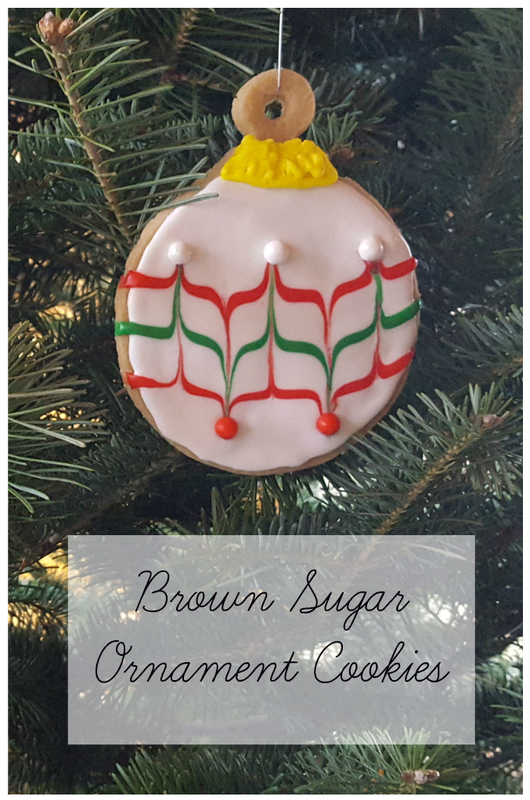 Glaze cooled cookies, decorate with sprinkles. Let stand for about 6 hours or overnight until hardened. Yield is completely dependent on the size cookie cutters you are using. 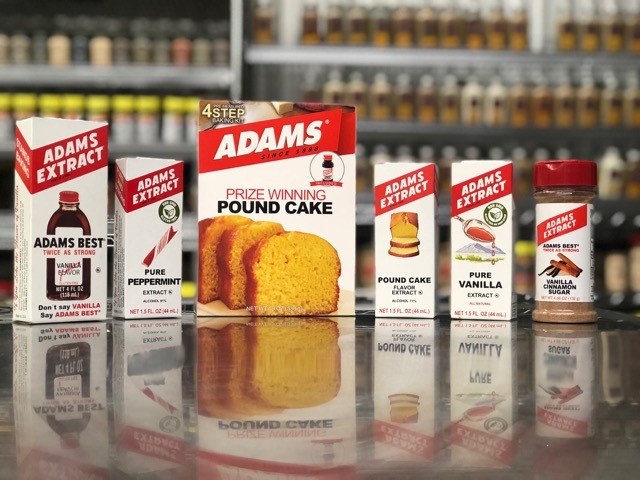 From Adams Extract comes a selection of baking delights including their prize-winning pound cake mix, pure vanilla extract, pure peppermint extract, double strength pure vanilla extract, pound cake flavor extract and vanilla cinnamon sugar. Adams traces its beginnings back to Battle Creek, Michigan, when John A. Adams began making and selling his Green Plant Sarsaparilla extract, Adamur, in 1888. In 1905, he moved his family to Beeville, TX. At the time, most vanilla was sold to pharmacies and was often labeled “Do not bake or freeze.” John A. Adams, whose imagination was stirred by his wife’s yearning for a flavoring that wouldn’t bake or freeze out, announced that he could produce a better vanilla than the one his wife was currently using. Working with just $6.71 worth of materials on top of an old icebox, John A. Adams discovered the formula he wanted. 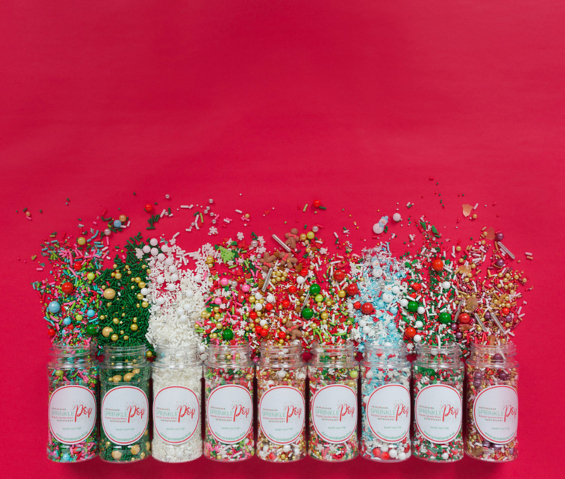 Disclaimer: Thank you #ChristmasCookiesWeek sponsors: Adams Extract, Sprinkle Pop, YumGoggle and Silpat for providing the prizes free of charge. The #ChristmasCookiesWeek giveaway is open to U.S. residents, age 18 &amp; up. All entries for the winner will be checked and verified. By entering you give the right to use your name and likeness. The number of entries received determines the odds of winning. Four (4) winners will be selected at random from entries received. The prize packages will be fulfilled by and sent directly from the giveaway sponsors. 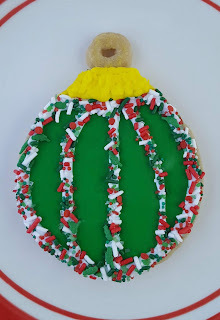 #ChristmasCookiesWeek bloggers are not responsible for the fulfillment or delivery of the prize packages. Bloggers hosting this giveaway and their immediate family members in their household are not eligible to enter or win the giveaway. No purchase necessary. Void where prohibited by law. This promotion is in no way sponsored, endorsed or administered by, or associated with Facebook, Instagram, Pinterest, Twitter or any other social channel mentioned in the #ChristmasCookiesWeek posts or entry. 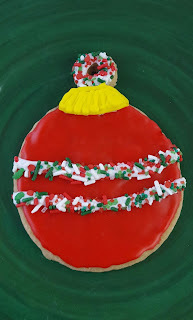 My mother's recipe for white cut out cookies ..... not your usual cut out as they are quite thin and just decorated with sanding sugar ..... but, that's what I grew up with...and, when they bake ..... it smells like Christmas!!! Jolene, I really enjoy seeing your rolled out christmas cookies, they are always beautiful. I think I will stick to drop cookies, maybe with some colored sugar or glitter. They turned out amazing! Excellent job. I think you did a great job with the decorating. It's amazing what you can do with a skewer! I love your ornament designs. They're beautiful!